PLEASE NOTE: **THIS G5RO UNIT DOES NOT SHIP FREE. 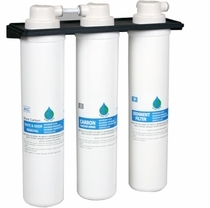 Discounted Freight Shipping and Insurance of $85 Per Unit is added post sale ON ALL Global Water Cooler unit orders. The G5RO offers a more sleek and modern design, with a microprocessor control panel and a blue LED light that illuminates the dispensing area. It dispenses hot, cold and ambient water temperatures, and also features a smart technology drip tray that alerts when it needs to be emptied.